I think I will scream the next time I read a Lean definition that tells me that lean is all about the removal of waste from your processes. Too many people, and many consultants, use the principles of waste removal to make some quick and dirty improvements to a process. They can quickly eliminate some wasteful steps from a process and lo and behold you have some cost savings made, some people released to work elsewhere and a host of other benefits; lean done! Six months later everything is back where it was before and people are complaining that lean had made things unworkable! So what is lean really? Well to answer the question I am going to quickly run through the history of lean before telling you what lean is really about. 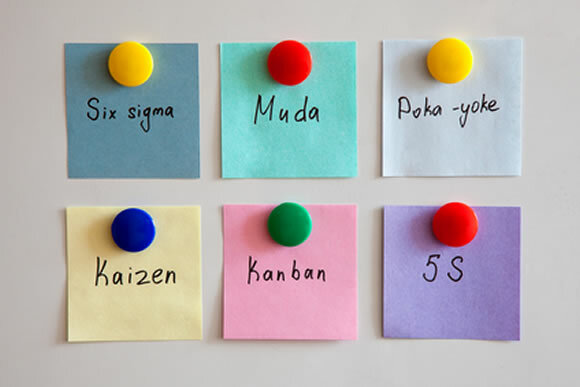 Lean is very much based on the Toyota Production System, but Toyota themselves modeled their system on a couple of American businesses and advice that they were given by a group of American business consultants that were tasked with helping Japan rebuild after world war 2; people like Deming, Shewhart and Cosby. The advice that they gave combined with what Toyota learned from the Ford Motor Company and Piggly Wiggly Supermarkets (yes you did just read that right) helped them to develop what was to become the most successful business improvement philosophy ever. The various quality Gurus gave them the advice about focusing on the customers and using their people, while Ford provided a solid framework for laying out and improving their processes. Piggly Wiggly however triggered some original thinking! A supermarket stocks its shelves with what they know the customer will want, but only restocks as the shelves empty; this was the birth of just in time (JIT) manufacturing and Kanban systems. Well the Toyota Production System worked because by the late 70s and early 80s Toyota was rapidly overtaking the big three auto manufacturers in the US and other manufacturers around the globe despite being a relative newcomer to the industry. So Just what is Lean? Throughout the 80s many people tried to capture what it was about the Toyota way of working that could give them the success that they were achieving; success that was being replicated across Japan in many different industries. So lean is very much about finding out what the customer really wants, and then looking at how you provide it and various process steps that are required. You then make the value flow smoothly through those process steps without delays at the pull of the customer’s demand. Once you have achieved this you continue to improve and keep aiming for perfection. Doing this you drive waste out of your process; but you don’t achieve this by focusing on removing waste! On this foundation are two main pillars; Just in Time and Jidoka. Just in Time is about producing exactly what the customer wants in the quantity required, when they want it and where they want it. It involves minimizing stocks and work in progress and implementing pull systems through Kanban. Jidoka is about having machines with human like intelligence that stop when something unusual happens thus preventing defects from being made. It also incorporates the principles of stopping production if something is wrong so that everyone comes running to solve the problems. Between these two pillars we have something called “respect for people” this is about the involvement and empowerment of every member of the workforce to continually improve every aspect of the business. What many people fail to look at when they consider lean is the fact that every aspect of lean is about creating a visual work place, where any problem becomes visible immediately allowing action to be taken to improve the situation and prevent it from happening again. The involvement of everybody in continual improvement of the business through a process called Kaizen also drives this journey towards perfection, step by step; slowly but surely they keep moving towards this constantly moving goal called perfection. I am sorry if I have not given you a couple of concise sentences to define a system that has been several decades in design and is constantly evolving; but I hope that by reading the above you have gained a better understanding of what lean is really about. If you implement the principles of lean and the ideas promoted by Toyota then you will drive out all waste from your business while being able to provide your customers exactly what they want.